All of our members in business have rich experience of more than ten years in International chemical Trading. CHEM-PRO Solutions deals into chemical product line from the plant in India (Maharashtra, Gujarat) & Far East Asia (China, Thailand, Malaysia, Korea & Japan). Strategic market planning and execution from guiding Product–Market decisions to complete range of market/ Brand development initiatives. We offer our services towards strategic planning, whereby, the clients can establish a long-term relation with the organization. This planning includes assessment of peaceful environment, resources, mission, purpose and prime objectives of an organization. Furthermore, we assist our clients in selecting the marketing strategy as per their requirements. We create a strategy before we begin work. This includes ranking your preferences, measuring Key Performance Indicators(KPIs), and deciding the perfect programming language. Our experienced executives are diligent enough in providing Strategic Marketing and Planning Services. Their advanced and focused solution are planned to support our clients in expanding their marketing network and achieving huge success. With our client oriented services, we stand as the most reliable name of the market providing optimum solutions. “Understanding the fundamentals and developing a market view is key to long term success in shipping. Looking for best digital marketing plans in Chandigarh We will help to shape your advertising goals and strategy for the promotion and enhancement of business. We will sit down you to go over your marketing initiatives, your goals, and your hopes from our Ads. We will figure out the best promotions & approach to attack your industry. Rural market in contrast to urban marketing, poses different challenges to the marketers as its constitution has a stark difference. Rural markets are geographically scattered with changing attitude, buying behavior, preferences, choices, habits, consumption pattern etc. 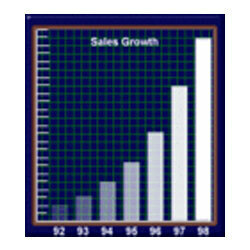 • Planning equalizes to marketing and creative strategy. Product positioning is an important element of a marketing plan. Product positioning is the process marketers use to determine how to best communicate their products' attributes to their target customers based on customer needs, competitive pressures, available communication channels and carefully crafted key messages. 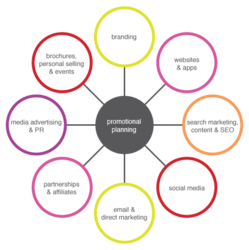 A Strategic marketing plan helps insure that all tactical marketing programs support the company's goals and objectives, as well as convey a consistent message to customers.